The Characters Editor creates default Player Character for your game, and also, Non playable Characters. You can specify special abilities, inventory, equipment, and loot for each character. 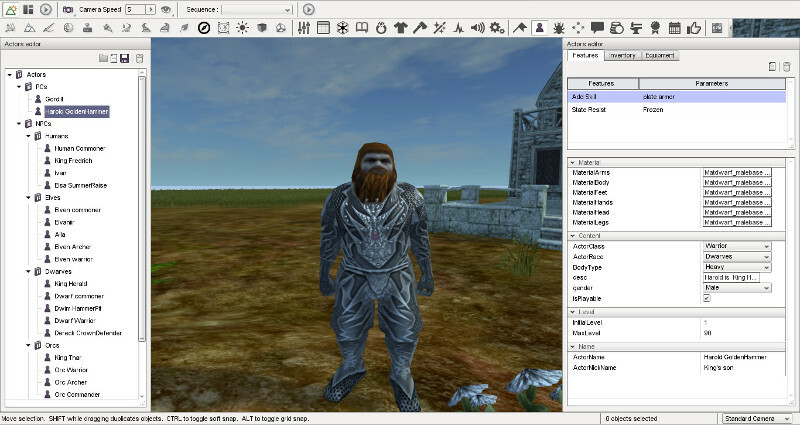 Character editor includes an Artificial Intelligence editor which determines behavior for it. It allows also to skin your characters with specific materials. MyRPG comes with twelve playable races.